Now Fully Integrated With Ableton Live 8.1.3 Novation Zero SL MK2 USB MIDI Controller Novation Zero SL MK2 USB MIDI Controller Image Gallery click for video Zero SL MK2 USB MIDI Controller description: The Novation ZeRo SL MK2 USB MIDI Controller is a full digital audio workstation (DAW) and plug-in control interface for live and studio use. A 144 character display, backlit LED buttons and encoder LED rings keep you informed of all control information. This also makes the Zero ideal for live performance where parameters need to be identified instantly. Ultra-quick mapping and software selection for the hardware (56 knobs, faders and buttons) is initiated via the ground-breaking Automap 3 PRO software. The graphical interface gives the user visual representation of current mapping. The ZeRo SL MK2 equips the modern DAW user with every dimension of hardware control, enabling a hands-on approach to navigating software, mixing and controlling plug-ins. 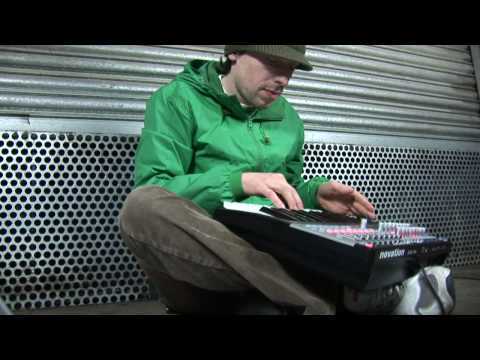 The Novation allows you manually mix your music instead of using a mouse. As mentioned the ZeRo has 8 continuous rotary encoders that have 11 segment LED rings around each of them, allowing encoders to behave like pots so the user can see the value before adjusting them. All the buttons have LEDs underneath them so users can instantly see their status without having to press them. There are 8 soft-feel drum pads, a pitch/modulation wheel and an X/Y Xpression touchpad which (along with footswitch and sustain pedal inputs), are all fully assignable to any parameter with the Automap software. It can be mounted in a 19" rack, used as a desk-top controller, or angled for performance using legs that are included with the unit. Working with all the major DAW manufacturers, Novation have developed the ZeRo to make sure all the knobs and faders control the parts of your software you want them to control. Considering purchasing the Novation Zero SL MK2 USB MIDI Controller ? Have questions? Ask people who've recently bought one. Do you own the Novation Zero SL MK2 USB MIDI Controller ? Why not write a review based on your experience with it. 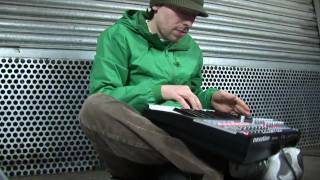 Seen a video for Novation Zero SL MK2 USB MIDI Controller online or have you own video? Check out Novation Zero SL MK2 USB MIDI Controller on DJkit.com!